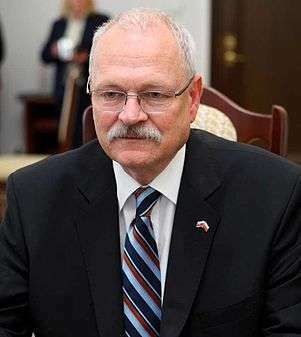 The President of the Slovak Republic (Slovak: Prezident Slovenskej republiky) is the head of state of Slovakia and the commander-in-chief of the Armed Forces. The president is directly elected by the people for five years, and can be elected for a maximum of two consecutive terms. The presidency is largely a ceremonial office, but the president does exercise certain limited powers with absolute discretion. The president's official residence is the Grassalkovich Palace in Bratislava. 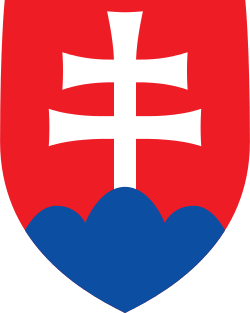 The office was established by the constitution of Slovakia on 1 January 1993 when Slovakia permanently split from Czechoslovakia and became independent. 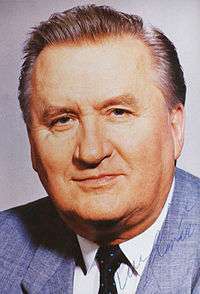 The office was vacant until 2 March 1993 when the first president Michal Kováč was elected by the National Council of Slovak Republic. 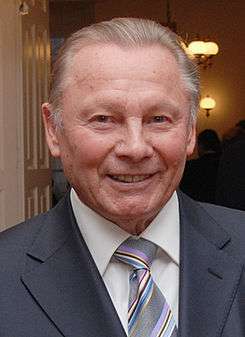 However, in 1998, the National Council was unable to elect a successor to Kováč. 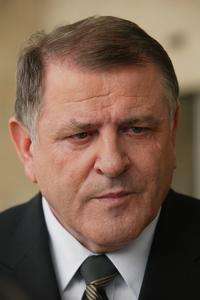 The result was that for half a year after Kováč's term ended in March 1998, the position was vacant. The duties and powers of the office were devolved upon the then prime minister and speaker of the National Council. In order to come to a solution, the constitution was changed to transfer election of the president to the people. Presidential elections have been held in 1999, 2004, 2009 and 2014. The current president is Andrej Kiska, who took office on 15 June 2014. The President of Slovakia has a limited role in policy-making, as the office is largely ceremonial. According to the constitution, the president is the supreme representative of the state both in Slovakia and abroad. Among his constitutional powers are nominating and appointing the Prime Minister, three judges of the constitutional court and three members of the judicial council. The president can also veto any bill (not including constitutional one) from the National Council. His veto can be overridden if the National Council passes the same bill again with majority of all members of the Council. The president also acts as the commander-in-chief of the Slovak armed forces. Among his other constitutional duties are signing the bills into the law, appointing the ministers on the recommendation of the prime minister and appointing various other state officials: generals, professors, judges, rectors, procurators and such. The president can grant a parole on the recommendation of the minister of justice. ↑ "ZÁKON O PLATOVÝCH POMEROCH NIEKTORÝCH ÚSTAVNÝCH ČINITEĽOV SLOVENSKEJ REPUBLIKY" (PDF) (in Slovak). 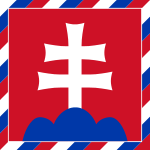 Government of Slovakia. 13 March 2013.